cars – Latest Venture news. Ford plans to bring an electric Transit commercial van to the European market by 2021, as part of the automaker’s broader plan to electrify its global portfolio. Ford didn’t provide many other details on the Transit van. And for now, the EV commercial van is only slated for Europe. Ford’s focus on Europe makes sense, considering its sales record in the region. Ford sold 380,900 commercial vehicles in its European 20 markets last year, up more than 8 percent compared with 2017. Ford made several other commercial vehicle-related announcements on Tuesday, including the introduction of in its new Tourneo Custom Plug-In Hybrid that can seat people and will be available to European customers beginning in late 2019. Ford also unveiled a Transit Smart Energy Concept, a 10-seater minibus. The concept, which has about 93 miles of driving range from a 4-hour charge, was developed by engineers at Ford’s Merkenich Technical Center in Germany. The concept uses a Ford Transit chassis fitted with the same battery-electric drivetrain technology as the StreetScooter WORK XL. StreetScooter is the company behind DeutschePost DHL electric vans. Ford is working other iterations of the concept minibus that increase energy savings and extend battery-electric driving range, including features that would allow the driver to control heating and cooling of individual seats – and deactivation of unoccupied seats. This brings the company’s total raised to $3.8 billion according to Crunchbase. Ola’s last funding was announced just three weeks ago, when the company said it had raised $56 million in early funding by investors including Tiger Global and Matrix India (two of its earliest backers) to spend on its recently spun-out electric vehicle business called Ola Electric Mobility. In a press release, Ola said the partnership will build “India-specific” electric vehicles and infrastructure customized for Ola’s fleet and operating and management software. It also includes new financing programs, such as loans and installment payments, for driver who want to purchase the EVs. Ola Electric Mobility’s challenges including building EV infrastructure (and gathering related data, including maps) for India’s sprawling and diverse landscape. One incentive is the government’s stated goal of making 30 percent of the country’s vehicles electric by 2030, though it hasn’t formalized that policy yet. Ola’s announcement said that “data accumulated during service operation will allow the companies to make constant vehicle improvements to better meet local needs and specifications.” For Hyundai, the partnership represents an opportunity to move beyond being an auto-maker to taking control of all parts in the “mobility value chain,” including production, fleet operation and services. Ola’s goal is to increase its drivers from 1.3 million to two million and offer one million EVs by 2022. Its other EV programs include a pledge to add 10,000 rickshaws for use in cities. Drivezy last raised money as recently as three months ago, a $20 million Series B, when it also raised $100 million in asset financing. Alongside users’ own cars and the fleet it manages, Drivezy also works with in partnership with dealerships and others to provide vehicles for its inventory. Tesla is using more than $13 million worth of stock to buy trucks and trailers that will transport its electric vehicles to customers, the latest effort by the automaker to improve its logistics and delivery services. Instead of using cash, Tesla issued $13.8 million in stock, a new securities filing posted Monday shows. Tesla used 49,967 shares at a maximum price of $277.05 a share as of Feb. 12 to buy the trailers from Central Valley Auto Transport. As part of Tesla’s ongoing logistics strategy to increase its vehicle transport capacity, reduce vehicle transportation time, and improve the timeliness of scheduled deliveries, Tesla agreed to issue shares of Tesla’s common stock in connection with its acquisition of certain car-hauling trucks and trailers from Central Valley Auto Transport, Inc. (“Central Valley” or the “selling stockholder”), an automotive transport provider. We are registering these Tesla shares pursuant to registration rights granted to the selling stockholder in connection with the acquisition. In November, Tesla CEO Elon Musk tweeted that the electric automaker had “acquired trucking capacity,” a move aimed to boost deliveries of its Model 3 vehicles before the federal tax credit begins to wind down December 31. Musk nor the company revealed more details. The company never posted any regulatory filings of an acquisition. Mercedes-Benz revealed Tuesday the Concept EQV, an all-electric premium van designed to travel up to 249 miles on a single charge. Concepts often times never become production vehicles. But this one will. The EQV, which was unveiled at the Geneva International; Motor Show, will go into series production. The automaker plans to produce an electric van based off of the EQV concept. The production version will debut at the Frankfurt International Motor Show later this year. This isn’t the typical “van life” vehicle. The EQV, which can seat up to 8 people, is designed to appeal to customers seeking a more luxurious ride. Mercedes is marketing this towards families, upscaled adventurers and corporate clients who might be looking for a shuttle vehicle. The vehicle’s seating can be configured in a numerous ways to meet various customers’ needs. The EQV comes with a compact electric drivetrain on the front axle that produces 150 kW or 201 horsepower. The vehicle is also capable of rapid charging that enables a range of 62 miles within just 15 minutes, according to Mercedes. The company’s EQ brand is supposed to represent a tech-forward approach, including the EQV. The vehicle is equipped with Mercedes new MBUX infotainment system, which boasts a self-learning voice control system with connectivity features. The navigation system has been modified to take into account the charge level of the battery. The system will also include apps that can enable control of the pre-entry climate control or allow for cashless payments at public charging stations, the company said. This concept is part of Mercedes’ “EQ” technology brand that the automaker kicked off in 2016. A few “EQ” related concepts have been introduced since then, including the first “Concept EQ” and later the Concept EQA. 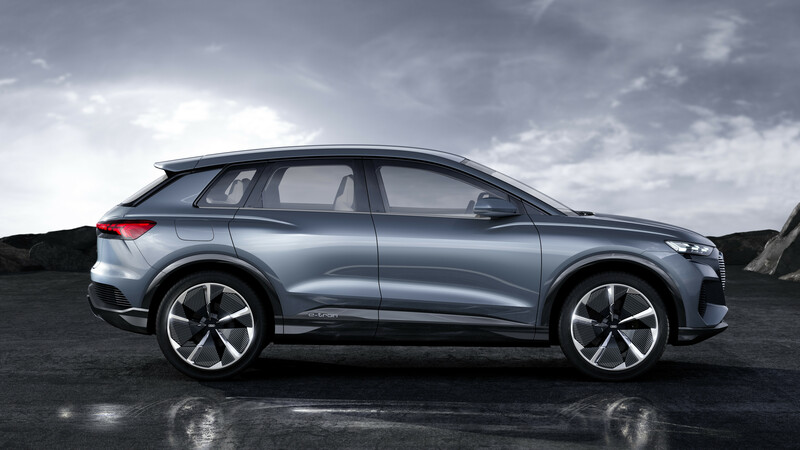 In September 2018, the company introduced the first series-production vehicle, the EQC electric drive SUV. 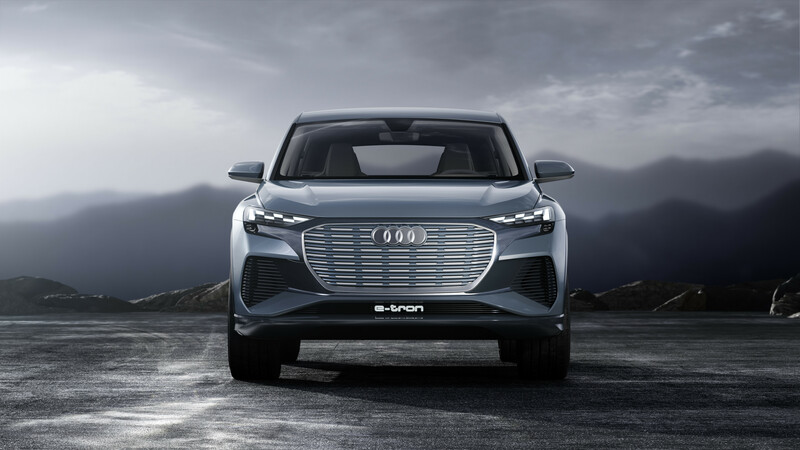 The company plans to invest more than $12 billion to produce a line of battery-powered models under its new EQ brand and spend another $1.2 billion in global battery production.